On November 17, the Kaneb Center for Teaching and Learning hosted the workshop, “Talking about Teaching during the Academic Interview” as part of the University Professional Development series. The event was full of great insight for graduate students of all disciplines as well as all types of academic positions. The panel highlighted differences and similarities between discipline and institutional expectations during the interview. There were three overarching topics during the panel, and unsurprisingly, all three of the concepts apply to any type of job search. Communication: You may not be explicitly asked to teach a class during the interview, but that doesn’t mean your ability to teach and communicate to others isn’t being judged. The ability to convey your research, answer questions and share opinions to others during the interview is easily correlated to your ability to teach students. Know yourself: Be honest about who you are and your needs as an educator. It is important to include your personality and views into a teaching philosophy/portfolio as well as your interactions during the interview process. If you have to be someone else and/or make significant compromises to get the job, is this the right job for you? Do your homework: Know the institution you’re interviewing at. Part of this fits with the point above about knowing yourself and picking an institution to match. Just as important is the ability to demonstrate during the interview that you know about the institution, the individuals you meet with, and their expectations when it comes to teaching. The Graduate School Professional Development committee recently read “Brag! 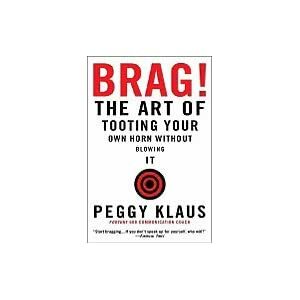 : The Art of Tooting Your Own Horn Without Blowing It” by Peggy Klaus. Our goal in reading this “tongue-in-cheek” book was to extract helpful advice for graduate students as they communicate about their work to a variety of audiences. The importance of always being prepared—opportunities will come up with little or no notice and you don’t want to feel tongue-tied. Prepare a script that you tweak for various purposes—the trick is to not have it sound rehearsed. And remember, what feels like bragging to you when you do it may not sound like bragging at all to your listener—if done right, it is just folded into a larger conversation. Bragging is “about becoming more of who you are and bringing forward your best parts with authenticity, pride, and enthusiasm.” For more information, check out the book on Amazon. Two Degrees at Once!? Yes, It’s Possible! Did you know that graduate students who are working toward their Ph.D. at the University of Notre Dame can simultaneously earn a Master’s degree in History and Philosophy of Science? This non-research degree can compliment a student’s studies in another field of work, with up to nine credit hours counting toward both degrees. Interested? Visit the Reilly Center’s web page for the History and Philosophy of Science Master’s program, or email the program’s director, Katherine Brading. – Arts and Letters graduate students: It’s never too early to think about turning your dissertation into a book. Two books to get you started are William Germano, From Dissertation to Book (2005) and Beth Luey, ed. , Revising your Dissertation: Advice from Leading Editors (2004). – Are you a TA looking for ways to effectively teach critical thinking and writing skills? Check out John C. Bean’s Engaging Ideas: The Professor’s Guide to Integrating Writing, Critical Thinking, and Active Learning in the Classroom (2001).